The Central Drug Research Institute (CDRI), is a premier Institution of the Council of Scientific and Industrial Research. The specialized R & D facilities, technical infrastructure and expertise available at the Institute make it a premier laboratory dedicated to the multidisciplinary field of drug research. Established in 1951, the Institute has received National and International acclaim in research on tropical diseases which constitute thrust area of its research activity. Both basic and applied research on major parasitic diseases namely malaria, filariasis and leishmaniasis is pursued. The studies mainly focus on chemotherapy, immunology, biochemistry, molecular biology and genomics.High throughput screens are being developed for rapid screening of novel anti-parasitic agents. 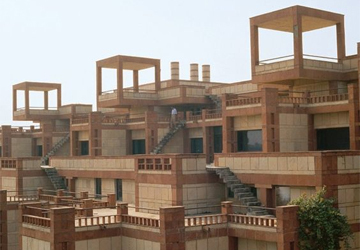 The Institute houses several national facilities including National Laboratory Animal Centre,, Regional Sophisticated Instrumentation Centre and ICMR Centre for Traditional Remedies. CDRI regularly holds symposia and workshops on important areas of parasitology. The International Centre for Genetic Engineering and Biotechnology (ICGEB) was established by UNIDO during 1980’s. Since 1996 the Centre is working as an autonomous organization governed by its own statutes. The primary objectives of the Institute are promotion of cooperation in developing and applying peaceful uses of genetic engineering for developing countries. The centre is engaged in basic and applied research on malaria, virology, plant molecular biology, plant transformation and insect resistance. The Institute has made pioneering contributions in basic studies leading towards developing a malaria vaccine. ICGEB has both short term as well as long term training programmes to help member countries in the development of scientific manpower in molecular biology. The centre conducts practical training courses three times a year in various aspects of molecular biology and genetic engineering. The Malaria Research Centre (MRC) was established in 1977. Its primary task was to find short-term as well as long term solutions to the problem of malaria through basic, applied and field operational research. The centre is currently doing work in the area of vector biology and control, genetics, cellular and molecular biology, parasitology, epidemiology, pharmacology and biochemistry, that is related to malariology and the development of malaria control strategies. A network of field laboratories in endemic areas provides the testing ground for new technologies and innovative approaches, and helps in the transfer of various media. The centre also provides young scientists the opportunity to participate in advanced research through a fellowship programme. Close links in the form of scientific collaborations are maintained with WHO, NMEP and also leading national laboratories. The centre publishes several books, monograms, proceedings including the Indian Journal of Malariology. The National Institute of Communicable Diseases (NICD) is one of the oldest and prestigious institutions of the Directorate General of Health Services, Ministry of Health and Family Welfare, Government of India providing multidisciplinary and integrated approach to the control of communicable diseases. Established as the Central Malaria Bureau at Kasauli in 1909, it was renamed as Malaria Survey of India in 1927 and later shifted to Delhi as Malaria Institute of India in 1938. In 1963 it was renamed as NICD. The Institute has mandate for training senior medical and health professionals, providing technical support to the provincial authorities in the investigations of outbreaks and undertaking operational research on communicable diseases. Its eight Divisions viz. Biotechnology & Biochemistry, Epidemiology, Helminthology, HIV/AIDs, Medical Entomology & Vector Control, Microbiology, Training and Malariology and Zoonoses provide a holistic approach to training and operational studies conducted by the Institute. Regional Medical Research Centre for N.E. Region was established by the ICMR at Dibrugarh, Assam in 1982 for promoting biomedical research and combating health problems of seven N.E. States viz. Arunachala Pradesh, Assam, Manipur, Meghalaya, Mizoram, Nagaland and Tripura. Main areas of research on communicable diseases include Malaria, Filariasis, Japanese Encephalitis, HIV/AIDS, Enteric Diseases and paddy field dermatitis. In the area of parasitology, the centre is actively engaged in studies on the epidemiology, control and vector biology of malaria. In addition, the Institute is also involved in studies on filariasis, schistosomes of zoonotic importance and food borne trematodes. The centre offers training to medical officers, laboratory technicians and field workers for malaria and in different aspects of entomology. The Vector Control Research Centre (VCRC) is a premier Institution of the Indian Council of Medical Research. The centre is engaged in basic and applied research in the field of parasitology. Chief areas of activity include studies on vector biology and ecology, search for new microbial control agents for vector control. Applied field research is focussed on clinical epidemiology and chemotherapy of filariasis and malaria. Training and manpower development are important activities of VCRC and the Centre organizes regular seminars and workshops. The veterinary college at Hebbal in Bangalore affiliated to the University of Agricultural Sciences was established in 1958. The Department of Parasitology became functional in 1960 and was upgraded to ‘Centre for Advanced Studies’ in Veterinary Parasitology in 1995 by the Indian Council of Agricultural Research. The primary aim of the centre has been to undertake advanced education, research and conducting training programmes for scientists from all over India. The chief areas of research include faunistic and morphological studies, biology, control, immunology and biochemistry of helminths, arthropods and protozoans of livestock and poultry. The centre is currently engaged in research on epidemiology of nasal and hepatointestinal schistosomiasis in bovines and anthelmintic resistance in small ruminants and serodiagnosis of cysticercosis. 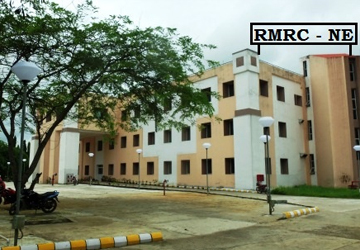 Rajendra Memorial Research Institute of Medical Sciences (RMRIMS) is an Institute of the ICMR devoted mainly to research on kala azar. The centre is involved in studies on the epidemiology, immunology, immunodiagnosis of kala azar and vector biology and control of the sandfly vector. The Institute holds short term training programmes on a regular basis.